Amnesia Ganja Haze Regular results from crossing Amnesia Haze with Silver Buddha.. 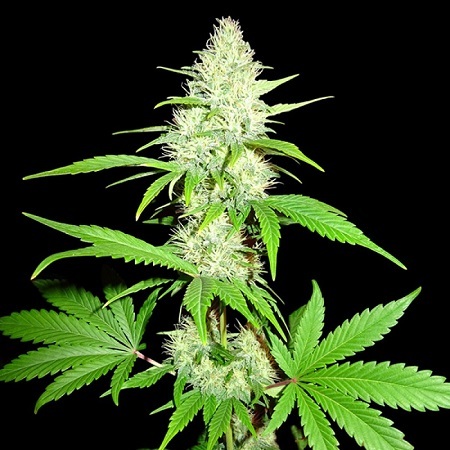 Amnesia Ganja Haze Regular Cannabis Seeds by Sumo Seeds: Amnesia Ganja Haze Regular results from crossing Amnesia Haze with Silver Buddha. 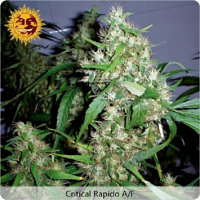 This 80% sativa marijuana strain is another of Sumo Seeds' varieties whose outdoor cultivation is restricted to very warm and hot regions with a long growing season such as is found at the extreme southern part of Spain, Italy etc. and at lower latitudes. 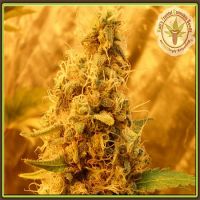 Amnesia Ganja Haze is known to produce very high levels of THC with low CBD and the effect from this strain is one of super creative euphoria that is motivating at the same time as feeling very relaxed and comfortable - this is one happy, feel-good cannabis plant. 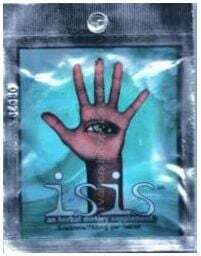 It has a deliciously fruity-citrus flavour that will make your mouth water. Indoors these plants get quite tall at between 160 - 190cm with a creditable yield of 400 - 450gr/m2 after a flowering period of 11 - 12 weeks. Outdoors Amnesia Ganja Haze grows into a veritable tree reaching as high as 300cm tall and yielding 750 - 850gr/plant. Harvest takes place in October or March according to the hemisphere of cultivation.